If it comes to the most influential people tweeting on the hot topics of the day then our mind first think about celebs like, Ashton Kutcher, Lady Gaga and Britney Spears but have you ever wonder who else tweeting most influentially on Twitter except celebs? 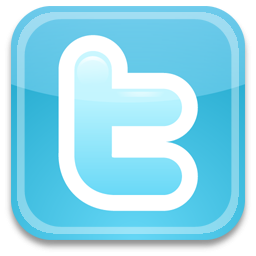 Pulse of the tweeters is a website which can show you the most influential people tweeting on the hot topics of the day. The website uses a specialized algorithm to rank the most influential people tweeting on trending topics for example if you’ve interest in football, the website will rank the most influential Twitter users who actively tweet about football and also show the football fans who tweet about that sport. Soon in the near future website could be used by companies who want to know what people are saying about their product. They could find out if top influencers saying about their product and that may have a lot of implications. Since May the website is tracking the top trending topics from Twitter in real time so far. Note – Daily there are thousands of people who make around 50 million of tweets but unfortunately, we read 10 or maximum 20 tweets in one go due to the shortage of time so it doesn’t mean if you have tons of followers on twitter you’re the most influential people in the Twitter verse. To know real influential tweeters log on to pulse of the tweeters.